I first read these lines on a postcard almost ten years ago in a library room in Cambridge. What struck me immediately was their delicacy – a delicacy so wonderful as to be almost painful. While I have not forgotten the encounter, I cannot say that I have thought much about these lines in the years since. And yet, it was (the memory of) these very lines that came to mind as I mulled the “feeling of loss” I experienced when I returned to the translation offered below. Allow me to explain. The Kannada poem (whose English translation may be found below) first came to my notice about a year ago. I came across it as I flicked through the pages of a richly-aged copy of Bendre’s ಕಾಮಕಸ್ತೂರಿ (Kamakasturi). Finding the poem’s first two lines vaguely familiar and drawn in by their quaint loveliness, I read the poem all the way through – when I finished, all I was left with was a most wonderful ache, an ache born of a beauty so ethereal as to almost surpass being. I cannot now recall the minutiae of the moment – but I believe I felt almost compelled to translate the poem, to possibly borrow some of its beauty for myself – acutely aware though I was of the near-futility of the attempt, of the vanity of attempting to distill something that was already sublime, of the trials of translating a poetic idiom inspired by a wonderfully rich folklore. Nonetheless, I tried my hand at it – and you can imagine my happiness when I was able not to translate it exactly but transcreate it – without letting slip (too much of) its gossamer-fineness. The enthusiastic response of a couple of faithful readers only nourished this happy feeling. But what then is the “feeling of loss” I spoke of? Well – it is the feeling that appears when I now read the poem and my transcreation; the recognition that that moment of ecstasy will likely never return. “It is so sad and beautiful|So tremulously like a dream”. It is my fond hope, though, that every one of you who reads this transcreation is able to feel some of its magic – however momentarily. Finally, in a break from tradition, it is my father who has sung this particular poem. 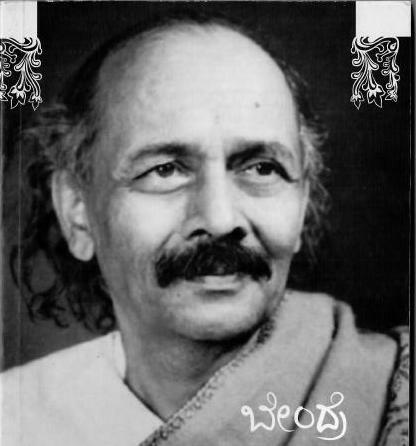 The ಧಾಟಿ (tune) is of his own making. I think he has done a wonderful job. How long since you were born, my dear? How long since you played in the dust, dear? How long since you ‘gan to sashay? How long since you tied on these plaits? Come, swear on the lehnga you wear. How long since this brought you your joy, dear? How long’s this been going on, dear? Poem Details: From the collection “ಕಾಮಕಸ್ತೂರಿ”, first published in 1934.